Lake Dallas, Texas traffic tickets are becoming more specialized everyday. Laws are being enhanced by our legislature to collect fees for outstanding traffic warrants and state surcharges. When you receive a traffic citation in Denton County it is important that you understand what you are signing. The attorneys at Jack Byno & Associates have been representing clients since 1994 with speeding tickets, traffic warrants, CDL violations, and driver's license suspension hearings. When you need advice from a lawyer contact our firm. In an effort to keep your Denton County, Texas speeding ticket off of your driving record, the most likely outcome the lawyers of Jack Byno & Associates will be able to achieve is deferred disposition, also known as probation. If you qualify and are granted probation for your speeding ticket, you will be required to pay some money to the court, not receive any other moving violations during the probation period, and if you are under 25 years of age you must complete a defensive driving class. Contact a traffic ticket attorney to see if you can keep your Lake Dallas ticket off of your record. Traffic warrants in the Lake Dallas Municipal Court can be a serious matter. If you have not taken care of your traffic warrant you can be arrested. Lake Dallas participates in the Great Texas Warrant Roundup. This means that law enforcement in Denton County makes a coordinated effort to find and arrest all active warrants. Contact an attorney to post bond and lift your warrants before you get arrested. More about Lake Dallas Warrant Roundup . Are you a CDL holder with a traffic ticket in Lake Dallas, Texas? What are you going to do? The court will not give a CDL defensive driving or deferred disposition. You know you do not want to just pay the ticket and take the hit on your driving record. I am Jack Byno and I have been representing truck drivers in Denton County since 1994. I know that it not just another ticket to you. I understand that every citation can have an impact on your livelihood. Contact me to discuss the options available for CDL violations. 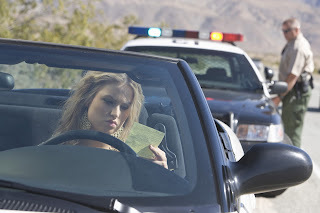 I have been representing clients with traffic tickets in Denton County since 1994. When you need an attorney with experience to help you with your speeding tickets, CDL violations, lifting traffic warrants, and defending driver's license suspension hearings contact me.